Leave it to Seattle, one of the most forward-thinking food towns in America, to rethink the lyric “buy me some peanuts and Cracker Jack.” Since opening in 1999, Safeco Field—home of the Seattle Mariners—has been acknowledged as a baseball stadium with great food, from sushi to clam chowder and dishes from famed Seattle chef Ethan Stowell. But the surprise hit of the 2017 season to date has come from an unexpected source: grasshoppers. The dish comes courtesy of Poquitos, a Mexican restaurant in Seattle’s Capitol Hill neighborhood that sells a cup of toasted grasshoppers, dusted with chili-lime salt, for $4 at Mariners games. 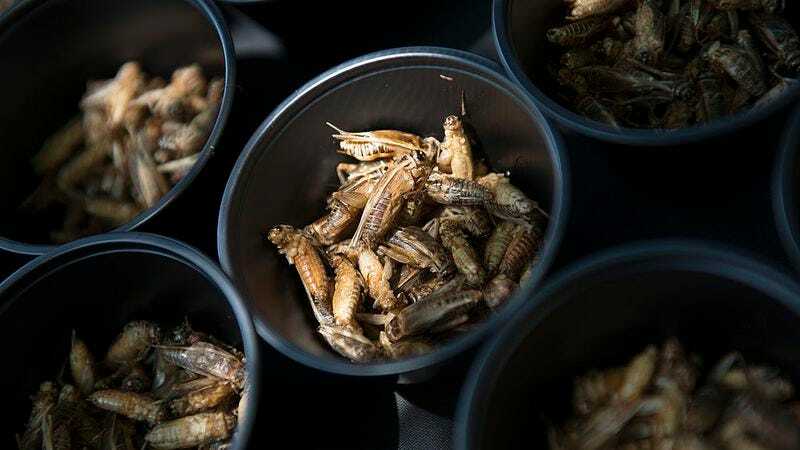 The ballpark has been selling so many cups—18,000 grasshoppers in total, according to The Seattle Times—they’ve had to make an emergency run to fulfill demand. A spokesperson at Poquitos said they’ve sold nearly as many grasshoppers in the first three Mariners home games than at the restaurant all of last year.